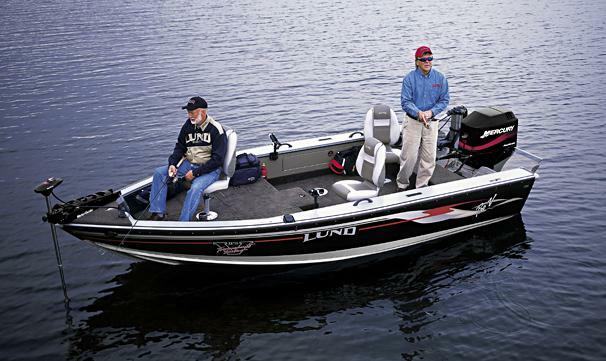 Boat Description The Lund 1775 Pro-V Tiller is one of the most popular boats in the history of the Lund Boat Company. It offers serious anglers a top-of-the-line fishing design that is also easy to trailer and store. This model features up to 80 hp plus an electronics command center that allows anglers to position all electronics within easy reach and right where they can be seen while fishing. Dry Weight 1300 lb approx.